I took a break from PC gaming to explore consoles for a few years. As I prepared to fully include the PC into my rotation there were absolutely thoughts of “Ok, but which X do I buy to go along with my PC?” Whether ‘X’ was a monitor/mouse/keyboard or any other hardware, the question is hard to answer without much experience and with so many options in today’s market. Thankfully, the HyperX Pulsefire Core is as simple as simple comes. As this is a right-handed mouse and I am right-handed, my thoughts will be written as such. The mouse has two buttons on the left side by where your thumb rests, two on top by the scroll wheel and the regular left and right mouse buttons. 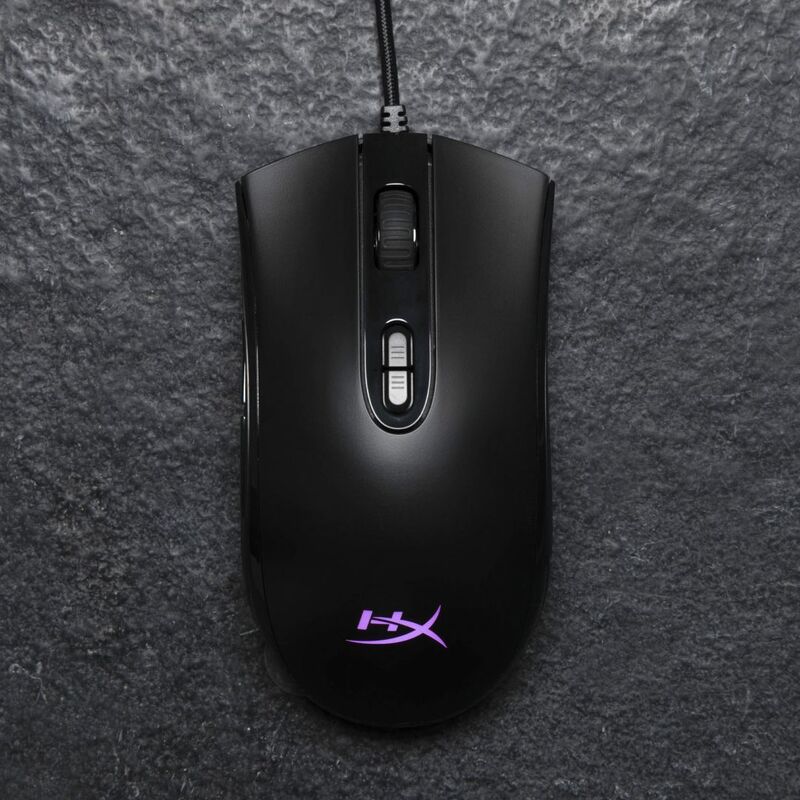 We’ll get to those extra buttons in a moment, but the mouse is ready to plug in and go, with an included booklet leading users to the HyperX website where they can download software for the mouse if they so choose. When simply plugging the mouse in without downloading any software, the side buttons will be set to go back and forward (as in when you go back to the previous webpage or forward to whatever page you were just on) and the top buttons control the DPI (Dots Per Inch), which changes how far a gesture with the mouse will cover. If you want to alter any of the aforementioned buttons you simply have to download and use the software; easy as pie. 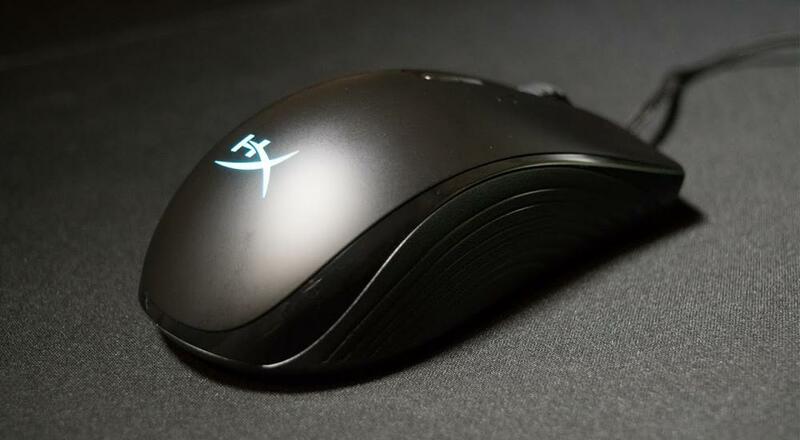 HyperX’s downloadable software is also used to change the color of the HyperX logo on the mouse. If you plug in the mouse and don’t download the software to set the color, the color on the mouse’s logo will continuously change. This forethought from Hyper X works well, as the downloadable software is incredibly easy to use but isn’t necessary. I often found myself playing games without using the additional buttons or altering their default functions, and when they were used it was typically the DPI altering ones; nothing that required the software. There are some games I will strictly play only on PC, like Real Time Strategy (RTS) titles, and that is where I started my time with the HyperX. The mouse did a fantastic job relaying smooth and efficient movement as I rallied my troops and prepared for battle while managing my resources with care and precision. 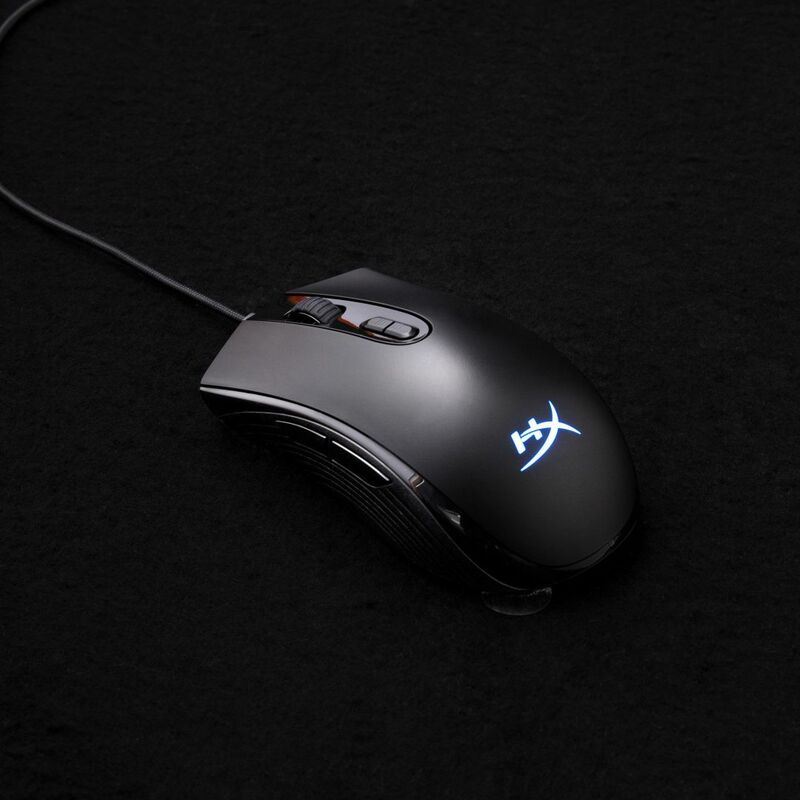 A mouse being reliable and comfortable may seem simple, and it truly is, but it is also one of the most essential pieces of PC gaming. I have used previous hardware that, while being smooth, is too small or oddly sized for my hands, meaning I’m pushing the mouse with my fingers more than resting my hand and focusing on the game in front of me. Thankfully, this was never the case, as the HyperX is comfortable to rest on as well as quick to get to work whenever you put it into motion. I put the mouse through the wringer with some faster-paced work that required precise combat and camera control in a AAA 3D world (specifically Assassin’s Creed Odyssey) and the mouse did an outstanding job. As mentioned, I find a lot of comfort in using a controller when playing games. Steam allows controller support, so weaning myself to a mouse isn’t easy, but the HyperX Pulsefire Core remained extremely responsive and consistent while I worked to get my hands used to the gaming on a keyboard. The girthiness and size of the mouse felt comparable to a current generation console controller rather than a small or standard mouse. Camera control? Check. Quick combat? Check. A cleared Steam library? Pending. The HyperX Pulsefire Core is not built to be a confusing or complicated PC gaming mouse. It introduces people to HyperX at a great price ($39.99 retail) and easy configurability. If you’re looking for the most in-depth mouse on the market, this may not be for you as the HyperX Pulsefire Core is just the core mouse concept and foregoes additional buttons or extra scroll wheels found on higher-end ones. For those new to PC gaming, returning after a long time, or just looking for a great mouse from day one, this is a perfect option. Page created in 0.6776 seconds.